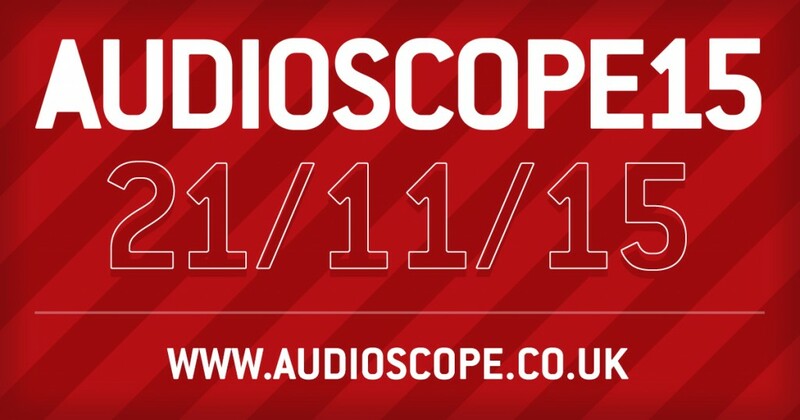 AUDIOSCOPE14 – what a day! 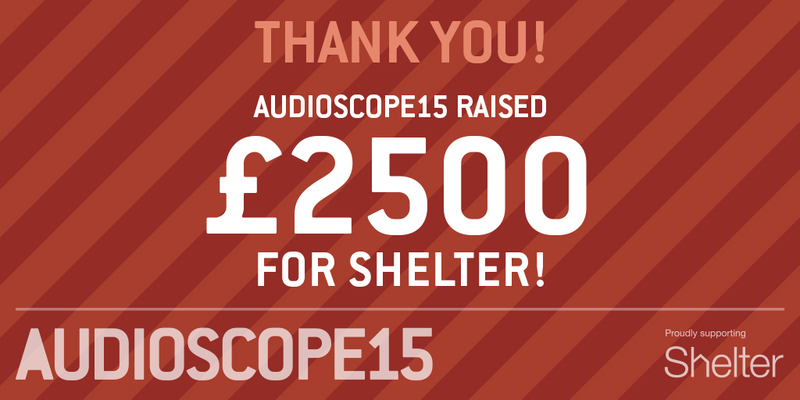 We’re absolutely delighted to announce that this year we’ve raised an amazing £2,100 for Shelter, which takes the total raised to over £28,600 since we started in 2001! In our fourteen years of history, we really think this was one of the very best shows, with so many performances to treasure. 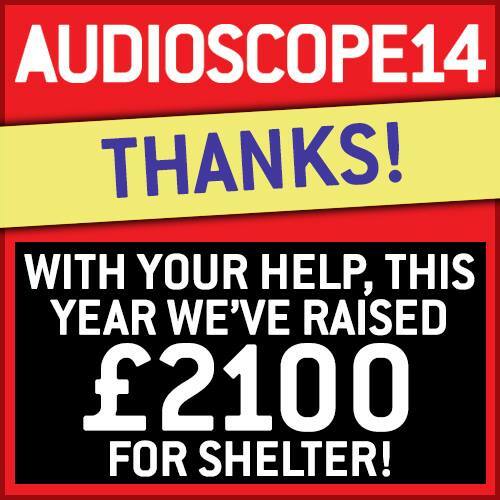 We just could not do it without you – so a heartfelt THANK YOU to everyone who came to the festival, bought an album or made a donation. 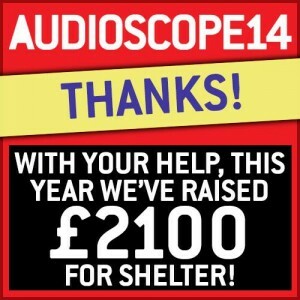 Thanks also to everyone who helped us out and to all the bands who supported us this year, donating their time and art for a worthy cause! Check our new Audioscope14 video and our photogallery on Facebook, and stay tuned for more news in the new year! Breaking news! 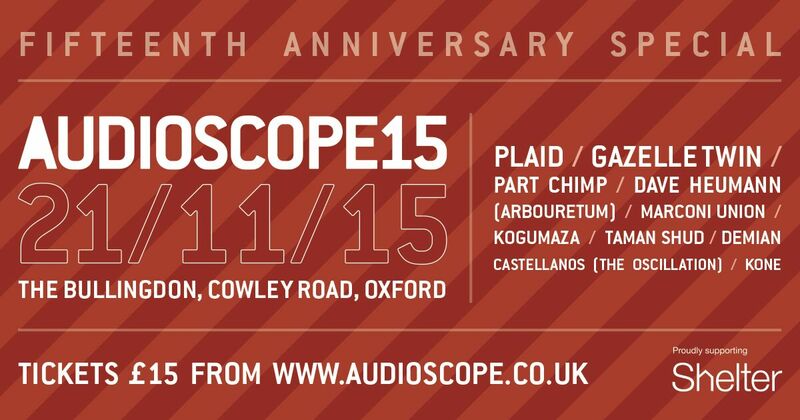 Audioscope14 has SOLD OUT! 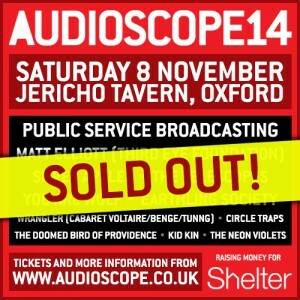 Sorry if you missed out and thanks to everyone who’s bought a ticket! 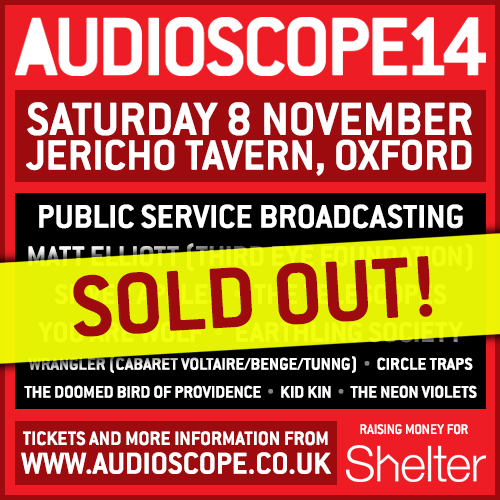 We look forward to seeing you and these 11 excellent acts on 8 November at The Jericho. In the meantime, stay in touch for updates about the day in the next few days and weeks.